A driver, Akeem Amusa, has been arraigned before an Ikeja Magistrates’ Court in Lagos for allegedly stealing feeding chains for candy machines belonging to Health and Farm Product. 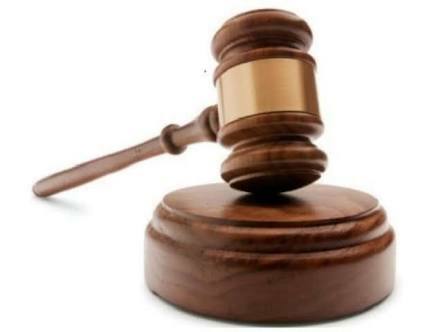 The accused, whose residential address is given as 5 Olubuade Street, Agbado Crossing, Ogun State, was arraigned on two counts of conspiracy and stealing. The police prosecutor, Sergeant Michael Unah, told the court that the accused committed the offence on November 22, 2108, around 4pm at 14 Oba Akran Avenue, Ikeja, Lagos. Unah said the accused was hired by the drivers’ park manager of a freight forwarding company to deliver products to the client’s office. “The goods given to the accused were 32 cartoons of feeding chain. The client called the following day complaining that the driver delivered only 30 cartoons instead of 32. The price of the missing goods is $5,659,” the prosecution alleged. Unah said the offences contravened sections 412 and 287 of the Criminal Law of Lagos State, 2015, (revised). The defendant, however, pleaded not guilty to the charges. The presiding magistrate, Mr A. A. Fashola, admitted the accused to bail in the sum of N200,000 with two sureties in like sum. Fashola said the sureties must be gainfully employed with evidence of two years tax payment to the Lagos State Government and have their addresses verified by the court. The magistrate adjourned the case till February 11, 2019.